It’s already been a year since Ohio started its journey to legalize marijuana for medical purposes and it is still considered a controversial decision, with unknown implications. Making Ohio medical marijuana use legal seems far-fetched to people who worry about the criminal implications of this substance. Yet, it’s one of the oldest known medicinal plants. Historical records mention it as early as 5000 years ago for treating conditions like rheumatism and gout. Ancient Greeks used it against inflammation and to sooth horses after battles (1). The recreational dimension has its roots in India where it was smoked to induce a trance state, perfect for mystical and religious worshipping. Medical marijuana may help alleviate pain, decrease anxiety, or have a calming effect. Currently, the main question is: are there any notable differences between recreational and medical marijuana? Chemical composition: All cannabis plants have different concentrations of tetrahydrocannabinol (THC), which is a psychoactive substance, and cannabidiol (CBD), which does not give you a “high” but could offer other benefits. Most recreational users look for increasingly high THC levels, while medical users need high CBD levels and as little THC as possible, especially if the target patient is a child. Plant type: To get the right concentration of CBD (or THC), it all starts with the plant. Industrial hemp, classified as part of the sativa family, is high in CBD. If the THC concentration is greater than 0.3%, the plant is no longer regarded as hemp but as marijuana. The indica variety usually has more THC. Even within the same family, there are differences between plants, due to selective breeding. Ingestion method: For medical purposes, marijuana is consumed in edibles, oils, tinctures, creams, or is sometimes vaporized. On the other hand, recreational users have access to all of these methods of consumption, as well as smoking. For medical patients, smoking is not recommended, due to the potential side effects. Igniting the plant can be detrimental to your respiratory system, just like with regular smoking, and it should be avoided. Medical recommendations and buying: You need to be suffering from a registered condition to benefit from a medical recommendation for marijuana. In this case, you can only get it from a regulated medical dispensary. For recreational use, you don’t need any paperwork, but we still advise you to get it from a dispensary. Age limit: People over 18 can buy their own medical marijuana. Children who have cards transfer their rights to legal tutors who purchases it for them. Recreational users must be over 21 and live in a state where it is legal. The only requirement is to show a valid photo ID card. As you can see, there are plenty of differences between medical and recreational marijuana, but these are related to the legal implications and ways you can enjoy their benefits. There is no one strain of cannabis that is classified as better than the others. All of them should be regarded as different tools for different needs. Depending on the condition you want to use them for, some strains are better for you, but that by no means makes them the best. If you are not a certified professional, restrain from recommending marijuana-based products to other people, even if they have the same qualifying condition. Ohio is walking the long road towards legalizing marijuana. The first notable change since 1975 was when it was decriminalized in September 2016 by House Bill 523, which is expected to become fully operational by September 2018 (2). The implementation process is two years long because it is heavily regulated to prevent abuse and misuse. The legal provisions only address patients with certain conditions that could benefit from using marijuana products at the recommendation of a certified physician. 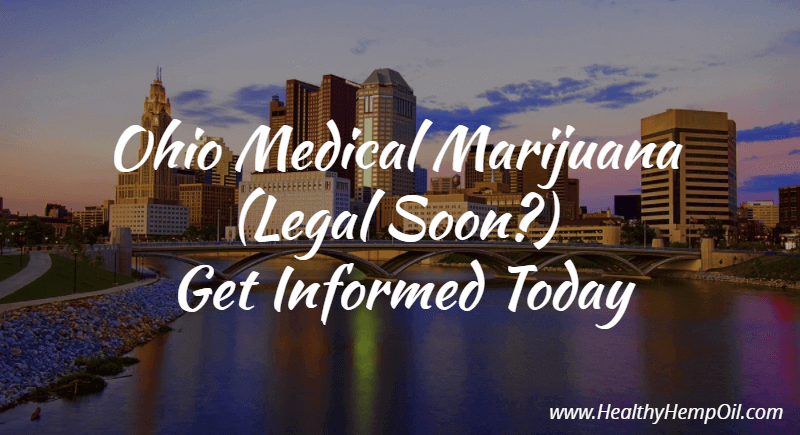 If you are a resident of Ohio and are looking to include this in your treatment plan, you must =obtain a marijuana patient card, which will come at a cost and have an expiry date, usually 12 months. Currently, cards issued by other states are not recognized in Ohio, but a future reciprocity agreement could become active. Since this is just the first step and lawmakers are trying to find the best way to control and keep track of its usage, it is forbidden to grow marijuana, even for personal or household use. The Department of Commerce and State Board of Pharmacy are working together to create guidelines and requirements for industrial growers and dispensaries to ensure quality and quantity. Medical marijuana will be available in Ohio for patients suffering from qualifying conditions. State officials estimate the percentage of possible users to be between .04 percent (5,150 users) and .44 percent (51,500 people) of the state’s population, but experts think it could be significantly higher, reaching 24% (3). This is due to the inclusion of “chronic pain” on the list, which can have modifications. The current list includes 21 conditions. Some of the qualifying conditions are chronic and can include terminal stages. If you or a loved one are suffering from one of the following, you could increase the quality of your life by finding the right, accepted product derived from medical marijuana. The initial petition included other conditions like autism with aggressive or self-injurious behavior, muscular dystrophy, cachexia or wasting syndrome, Huntington’s disease, and severe and persistent muscle spasms, but these did not make it into the initial selection. They could be added later by the Ohio Medical Board (4). Medical marijuana will be strictly regulated and only available based on a patient’s card at dispensaries. The current program has divided the state into four broad areas. Each of these has sub-divisions and a designated number of clinics proportional to the estimated patient population, the total number of inhabitants, and their closeness to major roadways. The total number of dispensaries so far is valued at 60: 10 for the northwest region, 18 in the northeast, 17 in southeast and 15 in the southwest (5). When visiting a dispensary, be sure to have a valid ID card or driver’s license and the recommendation you got from your doctor. Since there are a lot of strains and products to choose from, be open about your condition, symptoms, and medical background. The staff members (called budtenders) will recommend products that are crafted specifically to your needs. Currently, there is no operating dispensary in Ohio, since the program is still waiting for legal approvals and guidelines. When the dispensaries are ready to receive clients, you will be able to locate your nearest one online. The official timeline designates September 8, 2018 as when the medical marijuana program will be fully operational. By that time, dispensaries should be open and you can expect to be able to get your recommended amount. Of course, this implies that both doctors and producers will be certified and that patient cards will be issued by that time. These steps seem to be behind schedule at the moment. Doctors are still waiting for the Ohio Medical Board and their employers to be allowed to recommend medical marijuana. As a potential patient, be ready for a paper-intensive process, which asks you to produce qualifying medical records from the last 12 months. While a layman may only picture a joint when someone says “marijuana,” the reality is that there are countless ways of consuming your recommended amount of active components. In fact, smoking is the only form of consumption that is not allowed, and you could be charged for it. Vaping: At medical dispensaries, you can get a simple vaping pen and replaceable cartridges that help you keep track of your dosage. Always stay on the lower end if you are a new user, and allow your body to adapt to the sensations and reactions gradually. Vaporizing helps the active substance get into your bloodstream fast. Depending on your situation (age, weight, tolerance), you will feel the effects in 5-20 minutes. Edibles: This is one of the most pleasant ways to administer medical marijuana to children. 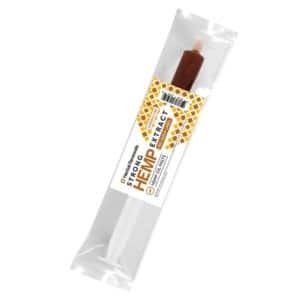 There is a wide variety of edibles, including chocolate bars, chews, oils and more. Most of them come in health-conscious versions, such as vegan or gluten-free. Be ready to wait a bit longer for these to kick into action, usually between one to two hours. The packaging always contains valuable information about the dosage. Check that first when selecting a treat. You can even follow online recipes and make your own using oil, butter, or other marijuana ingredients. Pills: If you don’t want the extra calories of edibles but are looking for the same effects and a more precise way of keeping track of the dosage, pills are a good choice. 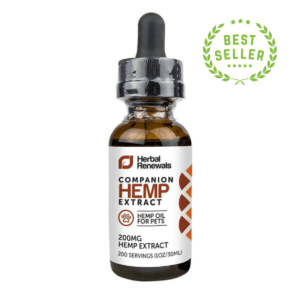 Be prepared to wait around two hours to feel the full effects, and don’t take additional CBD capsules sooner. Tinctures, sprays, oils: Usually sprayed directly in your mouth or taken sublingually, these get into your bloodstream quickly (15-30 minutes), but they are not as tasty as edibles. This form is recommended for traveling or whenever discretion is necessary. Topical wax and creams: Topical cannabis products act like any other pain relief creams when applied to painful joints or affected skin. 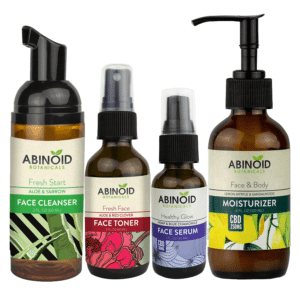 The action time is about an hour, and some users have reported a persistent smell, although this is highly dependent on the brand and other ingredients like solvents and fragrances. Using cannabis products for children and teenagers is considered controversial, and the law explicitly bans creating products that could be regarded as attractive by children. Currently, this definition needs to be further explained, and a commission is working on it. In the states where medical marijuana is legal and used to treat people under 18 years old, the most common applications are related to epilepsy episodes and other types of seizures. End-of-life care for patients with cancer also qualifies as a sufficient condition. Using marijuana could offer temporary pain relief. Unfortunately, there are few scientific studies on the efficacy of marijuana products for minors, but the empirical evidence tends to support quality of life improvements. This is a vicious circle since it is hard to have marijuana products tested on children. Therefore there is little evidence, leading to more disbelief in the benefits of cannabis products for this age group. 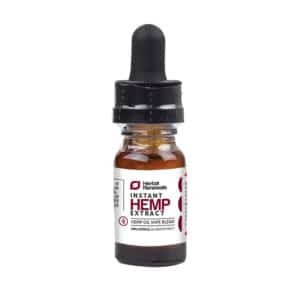 The products usually recommended include CBD edibles and CBD tinctures. Recreational use is strictly forbidden for minors and so is smoking as a delivery method. Under Bill 523, it is prohibited to grow your own plants. The motivation behind this decision has to do both with controlling drugs and ensuring the quality of the medicinal marijuana. The legal provisions for producers are expected to be highly regulated to ensure that the plants have a high CBD concentration and lower THC levels. Individual growers with no background in agricultural knowledge and chemistry would have a hard time ensuring that the plants that they are harvesting are fit for medicinal purposes and are safe to be consumed by more sensitive users like the elderly and children. Some sources advise that you grow small amounts (under 100g), by taking advantage of the decriminalized status, which could only result in a small penalty ($150). Assuming you don’t want any trouble with the authorities, though, it is better to wait for the dispensaries to be set up (6). How Much Can You Legally Buy? Currently, the bill states that each user will be allowed to own a quantity sufficient to last them for 90 days at a time. This amount can be composed of different types of products, including plant parts, oils, tinctures, vaping cartridges, pills, and edibles. The Pharmacy Board has yet to determine the amount of active substances allowed in each of these forms or as a total value. It is not clear yet if the amount will be based on the patient’s individual needs or a general maximum. Terminally ill patients with a life expectancy of 6 months or less can be exempted from the 90 day rule and receive greater amounts of product in this 90-day period to help them improve their quality of life (7). The law states that, if you are a caregiver to multiple patients, you should keep the amounts for each person separately. Can You Get Fired for Using Medical Marijuana? Cannabis is still illegal at the federal level and classified as a Schedule I substance, but states can have different legislation. However, due to this classification, if an employer requires you to take a drug test and you fail, they can terminate your contract (8). Ohio has not adopted a corresponding law provision like that of Arizona and Minnesota, which protects medical marijuana users and makes a clear distinction between recreational users in relationship with employers. So, the short answer is, yes, you can get fired for using marijuana if your employer has a no drugs policy in place. 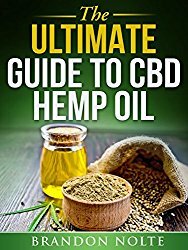 You could be careful and deliberately use only CBD-high products that are as low as possible in THC. Of course, if you are fired, you could sue your employer for discrimination and hope for a decision similar to that of the Supreme Court of Massachusetts, which admitted the claim but is not able to guarantee the success of the patient (9). Following the example of other states where medical marijuana is legal, Ohio will require patients to be recommended by a certified doctor to purchase marijuana-derived products. This is usually in the form of a medical letter that states the patient’s and doctor’s contact information and a validity term. The patient also grants the doctor their consent to discuss their medical condition with other authorities about medical marijuana consumption. This letter can have a more portable format, known as the marijuana card, which is similar to a credit card, containing the same information in an encrypted way. The card is a handy tool to have on hand that proves that you are legally allowed to carry marijuana products for your own use. It will allow you to have cannabis products in your car, pockets, or house without worrying. One of the most important benefits of having a card is access to a medical marijuana dispensary and the right to buy marijuana products up to the legal limit. Of course, your recommendation letter serves the same purpose, but that can be easily damaged and rendered ineffective. A card is much simpler to carry around and can even act as a discount token if your future dispensary has client bonus programs. Your card will be linked to a digital record of your past purchases, and you will be able to keep track of how much you have bought and ingested. Also, it will give you the right to buy enough marijuana products to last you for 3 months (90 days) at a time. This saves you from frequent visits to the dispensary, waiting times, and transportation costs, as the dispensaries will be sparse. At this time, the Ohio Board of Pharmacy is considering negotiations with other states for a mutual recognition of cards. This will require careful reconciliations between laws from Ohio and those of other states. For a seamless recognition process, the qualifying conditions should be similar, the amounts allowed should also be around the same value, and there needs to be a control mechanism in place that forbids getting more product than the legal limit. Since there are a lot of implementation issues to be figured out, Ohio does not recognize cards issued in other states, right now. The application fee for the program needs to be set by law and probably will be released together with other application norms. Judging from the experience of other states, you can expect to pay $30-$50 for a card that is valid for a year. The application process is mostly done online but can be considered lengthy. At this moment, there are some missing links due to insufficient legislative provisions. You can’t get a card now, as there are only pre-registering options. When the law becomes effective, which translates into certified doctors and dispensaries, you will be able to apply for a card if you have a qualifying condition. To verify your claims, be ready to show one previous year’s worth of medical records to a certified professional. Medical marijuana doctors will be allowed to issue a recommendation letter for you to use at a dispensary. You won’t get a prescription since it is an illegal substance at the federal level. Once you have this document, you need to visit a dispensary, register under the Ohio Medical Marijuana Control Program, and then you are ready to purchase marijuana-based products. On further visits, instead of your letter, you can just show your card instead. Medical marijuana is new to Ohio, and authorities are going the extra mile to ensure proper application of the law and that this program will not take a wrong turn towards abuse. The framework is in place. However, there are so many small details to be completed that the stakeholders find it difficult to navigate through this maze to turn it into a financial opportunity. At this moment, the applications to become a cultivator are closed, and authorities are evaluating over 180 companies that want to be in this business. The requirements for previous experience and financial stability were considered restrictive. It is impossible for an Ohio company to have any experience, since the cultivation was illegal until now. This only opens the door to large organizations, which have been active in other states. The financial entry barriers were also considered too high by some applicants, but the authorities replied to this critique. A company should have enough money to mitigate any risks in this industry. The Department of Commerce created two types of applications, depending on the surface that will be cultivated. These were named Level I, corresponding to a surface up to 25,000 square feet, and Level II, which goes up to 3,000 square feet. Level I: An application fee of $20,000, an initial licensing fee of $180,000, and an annual license renewal of $200,000. A large producer should expect to spend $200,000 per year just for licensing, while a small one should put aside $20,000 (10). The Department of Commerce decided to allow up to 12 Level I and 12 Level II licenses. The deadline for awarding these licenses is September 9, 2018. Having a dozen players for each level is expected to promote healthy economic competition and ensure a continuous supply for patients, even if some of the businesses won’t thrive in the long run. The future selection process was described as fair and impartial. Particular attention will be given to applicants coming from disadvantaged groups, without skipping the financial requirements. After the plants are harvested, they are sent off to processing centers which either package them directly or create one of the many products previously described. These facilities are also responsible for following strict rules regarding packaging, labeling, testing and ensuring quality, before distributing the merchandise to a licensed dispensary. The processing unit must closely track their suppliers and testers, as each final product is required to have the producer’s and the testing laboratory’s IDs on the label as a stamp of quality. While a big producer is expected to have $200,000 per year to ensure license fees, a processor gets away with half of that money. The application fee is $10,000, and the operation fee is $90,000. In each subsequent year, the processor needs to have ready another $100,000 to continue to remain in business (11). The law makes no distinction between the size of the processors, offering an advantage to larger companies. Currently, the Department of Commerce is ready to license up to 40 processors with provisional licenses. The successful applicants will need to have the minimum accepted scores for each qualifying category and the highest total score overall. The rules forbid creating monopoly situations or holding interests in more than one of the companies that are named processors. If the initial applicants fail to perform their duties as expected, new applicants could be added at a later date (12). Until the program becomes fully operational and additional information is collected, the testing dimension will only be performed by higher education institutions. This situation will continue for the first year to help lawmakers understand what the best requirements are. Commercial organizations that want to offer their services should be ready to fulfill these requirements. Until September 2018, only public higher education institutions from Ohio will be granted provisory licenses. Starting next year, qualified testing labs will also be able to request testing permits and probably go through an application and selection process, as well. The members of the board of the institution applying as a test lab should not be stakeholders in any of the companies producing medical marijuana, the processing systems, or the dispensaries to avoid a conflict of interest. Even after getting the license, the laboratory is not able to operate until it has passed a pre-operation inspection (13). The non-refundable fee for testing labs is $2,000 and must be paid before submitting the application. If granted the license, the institution must pay an additional $18,000 for the certification of operation and $20,000 as an annual renewal fee (14). The law does not limit the number of testing facilities, but it defines clear rules regarding their financial status and requires a comprehensive application file. Documentation asks for proof related to the ability and knowledge of conducting the necessary tests. Additionally, there are several other must-haves, including the non-refundable application fee, a business plan, a financial plan, and various other information. Since these facilities sell marijuana-based products that are illegal under federal law, it is prohibited to have a dispensary within less than 500 meters of schools, churches, playgrounds or public institutions. Cities will also be allowed to have additional provisions related to the location of dispensaries to avoid any inconvenience to citizens. As is the case with producers, processors, and testing labs, the dispensaries have to pay application fees (non-refundable $5,000), licensing fees ($70,000) and the biennial renewal fee, which is also $70,000. A $500 application fee for a dispensary associated key employee, including an identification card. The biennial renewal fee is also $500. A $250 application fee for a dispensary key employee, including an identification card. The biennial renewal fee is also $250. A $100 application fee for a dispensary support employee, including an identification card. The biennial renewal fee is also $100. The fee for a reissued dispensary certificate of operation or employee identification card is $50 (15). The initial evaluations estimated a necessity of 60 clinics divided into four areas, as previously described. The Board of Pharmacy retains its right to alter this number based on field evidence, including the geographical distribution, number of registered patients and total population. Every two years there will be a re-evaluation of the necessities. New dispensaries will be granted licenses through a similar process with the first ones to preserve fair competition rules and ensure the highest quality of service for patients. Ohio is cautiously getting in line with the other 28 states, which have legalized medical marijuana (16). The process is long and is considered by both patients and stakeholders to be unnecessarily complicated and expensive. However, it is all done in good faith to provide those in need with high-quality products and prevent abuse of the substance. There are still a lot of application norms that need to be determined and steps to be completed in the production, processing, testing and distribution of medical marijuana. At this moment, potential patients and doctors are frustrated because they don’t have a clear timeline of the process. It remains to be seen if all of the details will be in place by September 8, 2018, when the program is expected to be operational. Patients suffering from qualifying conditions will be able to use medical marijuana, as soon as they obtain a recommendation letter from a certified doctor. Nobody will be allowed to grow their own marijuana, and the total amount distributed to patients will be under strict legal control. Producers will be selected from companies with sufficient experience and financial power to offer quality and withstand economic difficulties. As a new market, both opportunities and risks are significant for companies looking to expand in Ohio. The population of Ohio accepted this change as a solidarity measure to those in need, but mostly as a promise of wealth from taxes and new investments, which translates into more jobs. The authorities promised that this program will be under tight control and will not degenerate into substance abuse or drug-related problems. It is a great leap forward, but to serve the target population, the authorities should be more transparent and accelerate decision making. Let us know if you believe that this decision will bring pain relief and comfort to patients or is just a way of inviting crime in your backyard? This entry was posted in United States CBD Policy and tagged Ohio.